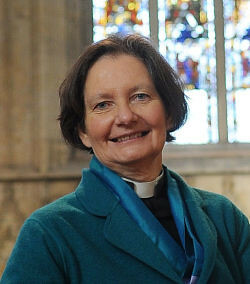 A big warm BRISTOLIAN welcome to Vivienne “Basterd” Faull, former Dean of York Cathedral, who has been appointed BISHOP OF BRISTOL. This will be a big deal for local diversity enthusiasts who will point out that Vivienne is the first woman appointed to the role and will then demand that us plebs wet our pants with vibrant joy at this latest exciting victory for equality. But how diverse is Ms Faull? Educated at exclusive THE QUEEN’S SCHOOL, Chester, an all-girls independent day school, she then went on to further study at the exclusive ST HILDA’S COLLEGE, Oxford. So there’s a good chance that Ms Faull is even more of a snooty elitist than her tosspot predecessor, Edward Colston cheerleader, Mike “THE MERCENARY” Hill. Hill, at least, managed to attend a state grammar school before poncing off to Fitzwilliam College, Cambridge to become an ESTABLISHMENT LACKEY and mouthpiece for the wealthiest men in Bristol. Who will ever forget his noisy public support for slave trader Edward Colston from the pulpit of Bristol Cathedral? Attention will now, no doubt, turn to Ms Faull’s attitude to Colston and his wealthy supporters club, the SOCIETY OF MERCHANT VENTURERS here in Bristol. Like her predecessor, will she front PRIVATE services generously funded by the Venturers at our local cathedral to celebrate Colston for schoolchildren? Or will she opt for a different and more inclusive approach in her effort at moral leadership in the city? Don’t hold your breath. This entry was posted in News and tagged Bishop of Bristol, Bristol Cathedral, Chester, Edward Colston, Mike Hill, Oxford, Society of Merchant Venturers, St Hilda's, The Queen's School, Vivienne Faull on June 29, 2018 by thebristolblogger. If you want to see some unashamed PRICE GOUGING on a Bristol-wide scale, you could do worse than check your latest bill from Bristol Water. The price of metered water went up 4.6 PER CENT on 1 April 2018. At the same time, the Office of National Statistics shows the Consumer Price Index for March 2018 up by just 2.3 PER CENT. If consumer prices are going up 2.3 per cent a year while Bristol Water is raising prices by 4.6 per cent, then it seems that water prices are going up at TWICE the current rate of inflation. Bristol Water is a local MONOPOLY, which means that you or I or anyone else in Bristol and the surrounding area can’t buy our water from any other supplier. We just have to STUMP UP. So where does the extra money from this big price rise go? Yup, you guessed it; to the company’s owners of course. And who’s that? Bristol Water is now largely owned by the secretive private equity firm iCON (great name, eh?). So iCON FUND MANAGERS and their INVESTORS are happily enjoying inflation-busting increases in cash flow and dividends, all financed by inflation-busting PRICE INCREASES levied on the captive customers of Bristol. This entry was posted in News and tagged Bristol Water, iCon, Inflation, Price rise on June 28, 2018 by thebristolblogger. The SICKEST PLAN YET for helping the street homeless in the city has been quietly launched by the Reverend’s ‘Housing Czar’ Paul “Wolfie” Smith and the team of bureaucratic scumbags running the council’s housing department. We hear that the council has quietly handed a contract called a SOCIAL IMPACT BOND to a brand new consortium – Social Impact Bristol Ltd (SIB Ltd) that’s been set up by charities, St Mungo’s, Second Step and Bristol Drugs Project – to support 125 street homeless over the next THREE YEARS. The devil, however, is in the detail. Because SIB Ltd is funded with a LOAN from Resonance, a “social impact investment company” and Resonance, in turn, obtained the cash for their £112,500 stake in SIB Ltd from “HIGH NET WORTH INDIVIDUALS” seeking a return on their investment. 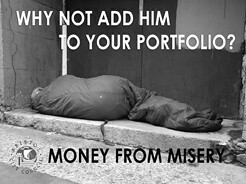 These investors will get this return when SIB Ltd achieve certain carefully listed “OUTPUTS” or targets from their homeless clients and are rewarded with CASH by the council. SIB Ltd then use the cash to repay Resonance’s loan with interest. This will be passed on to the “high net worth individuals” so that they receive the all-important “RETURN ON INVESTMENT”. This sicko scheme, marks the start of the financialisation and securitisation of street homeless people for profit in Bristol. It has already been tried by St Mungos in London and been deemed a “SUCCESS“! For who? Will it be a similar “success” in Bristol and usher in a new golden age of PROFIT to local high net worth individuals directly from homeless misery? And how many homeless clients/victims will be FORCIBLY MANIPULATED through this system designed to make a profit for the wealthy? Is this the best we can do? This entry was posted in News and tagged Bristol City Council, Bristol Drugs Project, High net worth individuals, Housing, Paul Smith, Resonance, Second Step, SIB, Social Impact Bond, Social Impact Bristol Ltd, St. Mungo's, Street homeless on June 27, 2018 by thebristolblogger. Welcome my adoring flock and what a special month this is. A time for mass celebration as I’ve now been your vicar for two fantastic, high achieving years that have exceeded all expectations and smashed all targets. We have so much to celebrate as these two years have been a litany of high achievement with the prospect of much, much more to come. But where do I start such a vibrant whole-parish inclusive celebration of diverse delivery? Perhaps by noting my exceptional background in church hall strategy leadership in America and religious health innovation in various small village settings across the UK, has delivered the aspiration of church hall transformation we have all been waiting for. The transformed church hall, funded through my new Church Media Fund, is set to open – our private sector partners assure me – as soon as congregation numbers and, therefore, potential church hall user numbers make the building financially viable. This may be as soon as five years, I’ve been assured. Hurrah! value consultant contractors from London prior to an experimental soft launch. Tea in the vestry will never have been so efficient. Hurrah! Then there was my 360 degree review of the Reverend Loose Canon Ferguson’s failed car parking strategy. Now families can attend St Marvin’s in a 4×4 diesel vehicle, happy in the knowledge they need only pay a small parking fee to access the church and financially support the parish’s wider aspirations. Hurrah! And many of those same families are also secure within the St Marvin’s family knowing that thanks to my introduction of a small ‘Regular Worshipper Uplift Charge’ their children are safely on a best value, time efficient journey into the parish’s OFSTED rated ‘excellent’ St Snoot’s Academy. Hurrah! I feel I should also mention the help and support from all three of the Parish Secretaries I’ve, so far, appointed on highly competitive rates. A big thank you to Mr Stephens from Birmingham, Ms Klonowski from London and, I’m sure you’re excited as me at my appointment of Mr Jackson from Weston-Super-Mare to head up the parish committee as we move into a more aggressive delivery phase. What a diverse and vibrant group of parish leaders we have here to celebrate. Hurrah! A special mention too should be made regarding my regular all-expenses paid trips to the US to visit my fantastic friend and religious mentor who facilitates a refresh and renewal of my faith. As this mentor, the Texan psychotic preacher and notorious anti-communist homophobe, the Pastor Righteous Loon says, “an expensive trip to pray alongside me at my impressive luxury mansion with outdoor swimming, gym and sauna facilities is what the Lord desires”. And on that positive note of positivity, let’s look forward to the next two years, which Mr Slocombe’s already designated ‘the years of delivery’. Aspirations such as an open church hall, a self-serve tea facility in the vestry and increased parking charges may soon become the new reality. Hurrah! Here’s to another two years! Hurrah! This entry was posted in News and tagged Bristol City Council, Kevin Slocombe, Marvin Rees, St Marvin's-Up-The-Creek on June 26, 2018 by thebristolblogger. Overhea ring a conversation about mutualisation, I realised the people three desks down were talking about our libraries. A possible staff buyout (or buy-in or spin-out, or something) was mooted. “A stalking horse for outsourcers,” one of them said. As well as the confusing possibility of another council running our libraries, as if we have lost the energy to run our own affairs. So I popped off and had a look on my phone to see if I could find anything published online that would go into more detail. A report had been published (apparently in March) but I hadn’t seen anything, and I had been looking. Anyway, there is not much good news in the report. It is essentially a list of options with recommendations, though there is an in-house option (with ‘re-engineering’), and we can at least catch a glimpse of how our technocratic overseers see the world so we can have some idea what to expect. The report said March 2018 but the staff have not been allowed copies (up until very recently), and quite frankly the document is turgid and unapproachable. I don’t expect many people will reach the last of the sixty pages, but doom-laden rumours are flying thick and fast among librarians and library assistants. It seems the preferred option is a PSM, or Public Service Mutual. There is much talk over whether it will have charitable or non-charitable status, but regardless, it is easier to think of the thing as a sort of charity. If this option passes, our library staff would no longer be council employees but would be transferred to what is a bit like a charity. They will retain their pay, terms and conditions. But the report cheerfully informs us that terms and conditions can be changed post-transfer by a consultation process. 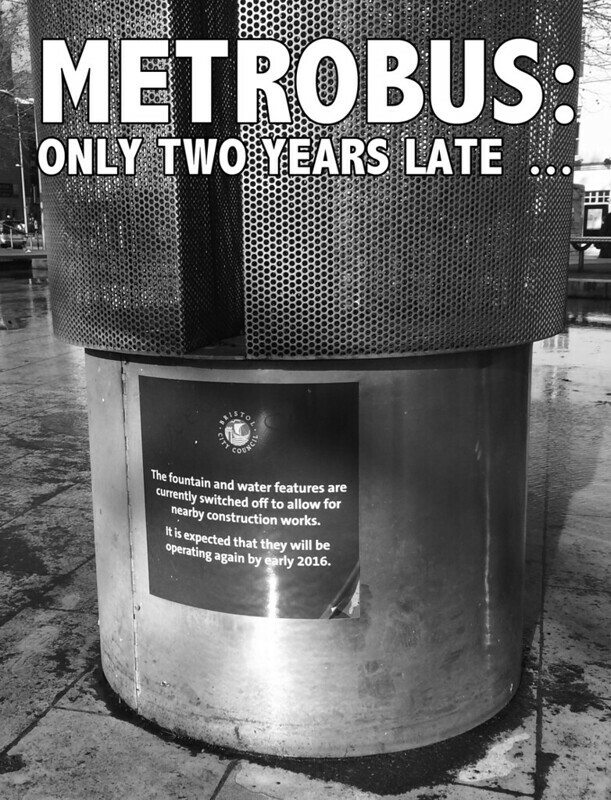 Does this mean that the council would save money by, er… receiving less money from rates? Now, I know I’m going to get comments telling me I’m a dullard who doesn’t understand tax law. But the fact remains that these options are attractive because they pay less tax. Or might do if they get charity status… If. It was late last year that full council agreed, with cross party support, to look at mutualisation. Of course, the right wing of the Labour party have been pointing out that that vote was not binding, but they did find it difficult to contain their glee at the interesting possibilities. After all, the mayor can pose the question: the people of Bristol have spoken through their representatives, who am I to get in the way of democracy? Privatisation or a spin off of Bristol libraries could then be blamed on everybody and not just him. Likewise, if there is an effective wave of protest, the elected mayor can then point out that that is the point of having an elected mayor, to overturn the narrow interests of ward councillors and consider the needs of the entire city. This will make himself appear like he is listening. Win win, I would say. This entry was posted in News and tagged Bristol City Council, Business rates, Libraries, Mutualisation, Privatisation on June 25, 2018 by thebristolblogger. This entry was posted in News, Yewmah and tagged Centre, Metrobus on June 17, 2018 by thebristolblogger. 1932 saw the introduction of the Young Persons Act. One consequence of this was that a child could be whipped six times by a constable using a birch rod. More importantly, the act introduced the Approved School to replace the muddled bunch of previous penal boarding schools. A child could be forced into one of these places for a number of reasons. One being, “if they were in need of care, protection or control”. By this definition, the private individuals who set up the schools could choose any child and lock him away from his family for their own ends. Children with special needs and those with behavioural problems were at particularly high risk of abduction and incarceration. In 1933-34 over 8,500 children were detained. Hundreds of thousands were to follow. The use of the cane and the strap was standard. Approved schools were abolished in 1973. 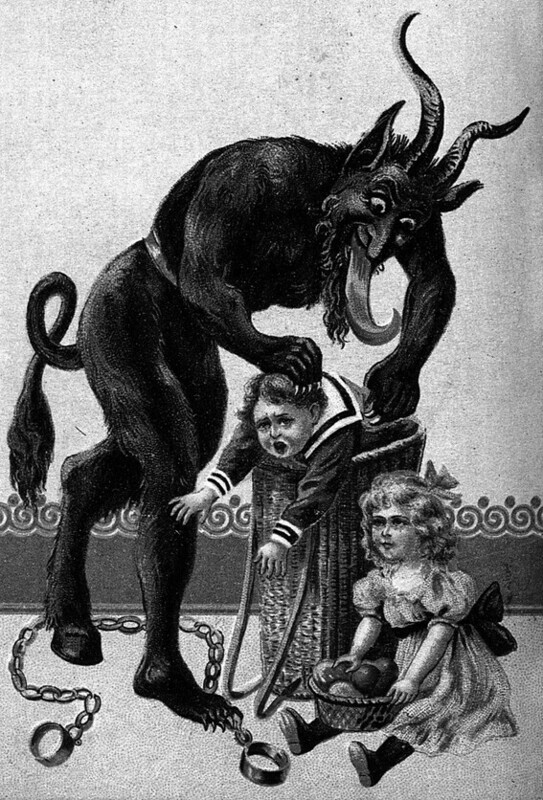 Many ex-pupils tell sad stories of their childhood. Few have received after care. Innocents wounded for life. Why? This entry was posted in News on June 13, 2018 by thebristolblogger. Local and national news outlets were quick to report a controversial Bristol West Constituency Labour Party meeting in April. Where Corbynites in the party attempted to CENSURE their MP Thangam Debbonaire for supporting the controversial ‘#EnoughIsEnough’ anti-semitism rally in Westminster in March. The meeting ended abruptly when Debonaire STAGED a walk out for the media, complaining that the meeting was “UNPRODUCTIVE” due to heckling. The media went along with this line. Happily characterising Corbyn supporters as an unruly rabble and Debonnaire’s gang as the height of professionalism. However, a Corbyn-supporting PENSIONER who attended the meeting gives us a slightly different view of this meeting. “As I got up to leave,” they explain, “a young, well-dressed man supporting Thangam shoved into me hard, nearly pushing me over. This entry was posted in News and tagged #EnoughIsEnough, Bristol West, Jeremy Corbyn, Labour Party, Thangam Debbonaire on June 11, 2018 by thebristolblogger. THIRD TIME UNLUCKY FOR ALIEN OTHERNESS BOSS? Our dear old friend, Richard “The Builder” Fear, city council property boss and congenital idiot, continues to impress. Fear The Builder, you may recall, extended his period property in leafy Knowle with an “upscale dormer window” or, as a planning inspector later described it, a “strident and bulky structure creating an awkward sense of ALIEN OTHERNESS”. The Planning Inspector became involved in an appeal early last year after this senior city council property expert FORGOT to get planning permission for his new structure. He then, unfortunately, FAILED, in 2016, to get retrospective permission for his hideous mess that broke all known planning regulations for a dormer window and had to appeal to the Planning Inspectorate. Decisively losing the appeal, Fear then attempted to try and get retrospective planning permission all over again last summer by claiming a PAINT JOB and a bit of FAKE ROOF added to his unlawful carbuncle would solve all the problems. Alas, not according to a planning committee of councillors who sent Fear packing a second time. Councillor Olly “Mediocre” Mead telling him, “You can put me in a TUTU and I’d no more resemble a BALLERINA than that resembles something that is appropriate for the area”! Now, nine months later, and Fear has developed a new two-pronged strategy to save his expensive extension from demolition. We learn that, for the THIRD TIME, he is applying for retrospective planning permission while also appealing to the Planning Inspectorate for the refusal of his second effort to obtain retrospective planning permission. Neighbours and locals assure us that Fear’s latest efforts are ludicrous. “The new plans look EXACTLY THE SAME as the ones refused planning permission last year,” they say, “what’s changed”? Meanwhile, will an appeal to the Planning Inspectorate be any more help to Fear than last time around? Informed opinion suggests not. 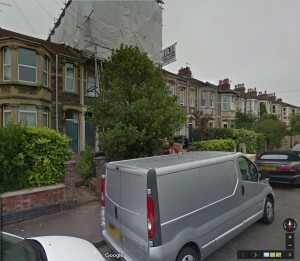 This entry was posted in News and tagged Bristol City Council, Haverstock Road, Knowle, Planning, Planning Inspectorate, Property Services, Richard Fear, Service Manager (Property) Assets on June 8, 2018 by thebristolblogger. Our favourite PUBLIC SECTOR MONEY PIT, Bristol City Council’s Bottle Yard Studios, the loudmouth film and creative industries public relations initiative for the city funded by you, dear council tax payer, has some news. We learn that at present there is NO MORE SPACE at the studios to make any actual, er, films, because Mammoth Screen, the private production firm behind BBC’s crappy Poldark drama is currently renting out most of the studios as cheap STORAGE SPACE! Quite why the firm can’t pay COMMERCIAL RATES at Big Yellow Storage like the rest of us and let us use our facility, subsidised to the tune of £1million a year by the council taxpayer, to make films is unclear. This foray by the council into the world of equipment storage at the city’s premier creative industries venue puts a rather large dent in their ridiculous claim that they are delivering JOBS and TRAINING in the film industry for the people of South Bristol. What are these jobs and training in? Manual handling and minimum wage security roles? This entry was posted in News and tagged Bristol City Council, Creative Industries, Mammoth Screen, Poldark, Storage, The Bottle Yard Studios on June 6, 2018 by thebristolblogger.